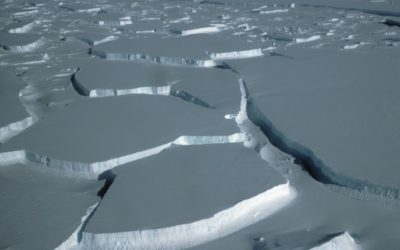 British Antarctic Survey (BAS) is offering 16 PhD students and Early Career Researchers a unique opportunity to gain practical skills for working safely and effectively in the polar regions. 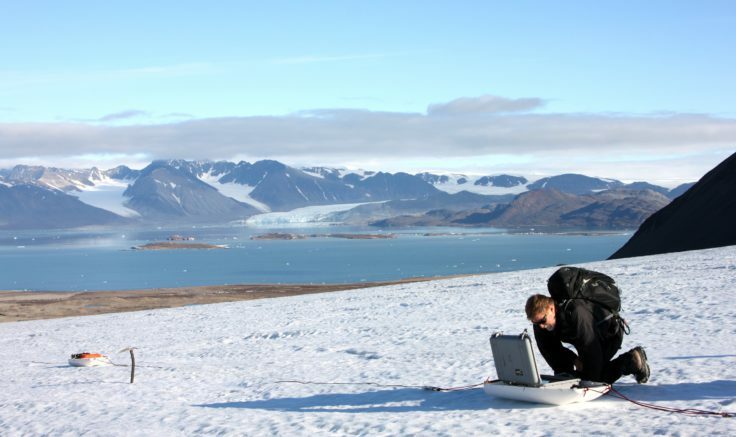 A short course, funded by the Natural Environment Research Council (NERC), will consist of two parts – theoretical work in Cambridge followed by on the ice experience in Svalbard. 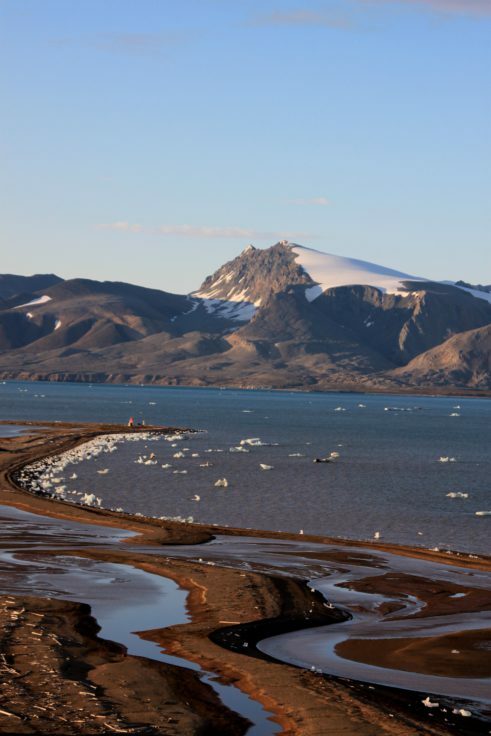 Leading operational polar experts and researchers from BAS will guide this seven day course, teaching participants to translate exciting scientific ideas into safe, achievable and effective field plans. If you know the science theory, but feel unsure of how to apply it on the ice then this course could be for you. 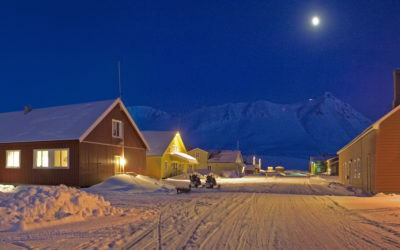 Three days of theoretical and practical work at Madingley Hall in Cambridge will be followed by travel to the UK Arctic Research Station in the international research village of Ny-Ålesund, Svalbard, to spend four full days of active fieldwork and practical training on the ice and at sea. You will work on the Midrelovenbreen Glacier and carry out a radar survey of ice structure where you will learn skills that can be applied to many types of glaciological fieldwork. You will also have the chance to work on offshore biological sampling and develop general skills in small boat survey work. Planning each day and taking turns at leading the team will also feature in the course. 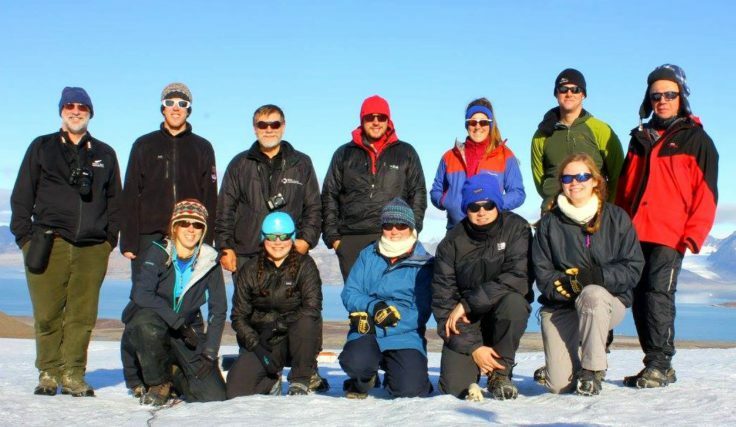 “This is an exciting opportunity open to all NERC PhD students and Early Career Researchers where they can learn and put into practice a wide variety of polar fieldwork skills. The primary aim is to make them feel more confident about living and working in either the Arctic or Antarctic, or indeed any remote, challenging environment. The four days at Ny-Ålesund gives invaluable practical experience of life at a high-Arctic locality”. Feedback from previous course participants who blogged about their experience was excellent. Numbers will be strictly limited to 16 participants. 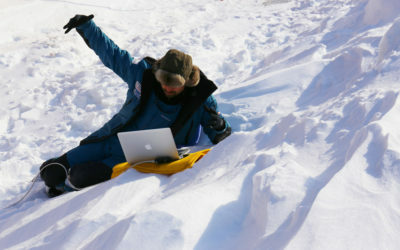 The Arctic field component of the course will be run with two consecutive teams of eight. 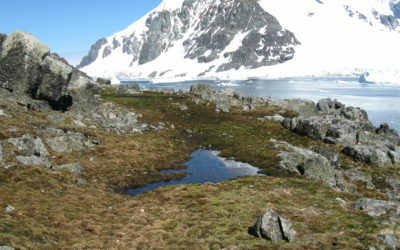 Fieldwork planning in remote regions: how to develop a comprehensive, achievable field plan; legal, political and environmental obligations; risk assessment; shipping equipment; financial planning and budgeting. BAS Operations Managers will give practical examples of project planning from their extensive experience in both polar regions. Remote sensing options and use of topographical maps: use of a GPS and GIS; aerial photographs and satellite images. Members of the BAS Mapping and Geographic Information Centre (MAGIC) will demonstrate some of the latest state of the art techniques. A series of tasks and practical exercises to help you develop your skills in polar leadership, practical planning and how to work efficiently in remote regions. Can you think on your feet and lead a small team? Can you change a field programme at short notice in challenging weather conditions? Provide an email from your home institute supervisor or departmental manager confirming their support and that you are covered by insurance for Arctic travel and Arctic fieldwork. You will be expected to submit a short report and questionnaire after completion of training. Selection for the course will be overseen by a small committee comprising BAS tutors. This course is for PhD and ECRs registered with a UK academic institution. NERC-funded Doctoral Training Partnership students are strongly encouraged to apply, but other UK-based NERC PhD students and ECRs may also be eligible. The deadline for receipt of completed applications is 4pm, Monday 25th April 2016, and applicants will be notified of the outcome as soon as possible after this date. A preliminary programme will be issued and all travel and subsistence costs will be covered by the course. *Please note course dates for the Arctic fieldwork will be confirmed in due course. It is anticipated that for the first group of eight students to travel to Ny-Ålesund the course will end on 2nd September, and for the second group there will be a break between 28th August and 4th September.